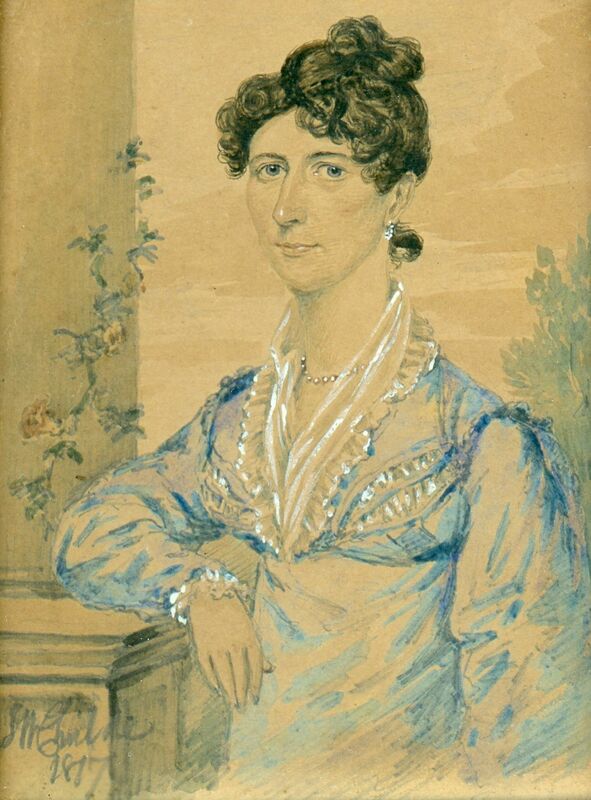 This interesting portrait features a Regency lady in a garden setting, her arm resting on the base of a rose-entwined stone column. 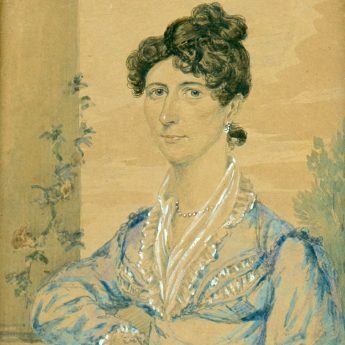 She is wearing a blue empire-line dress edged with lace with a white tucker fill-in. 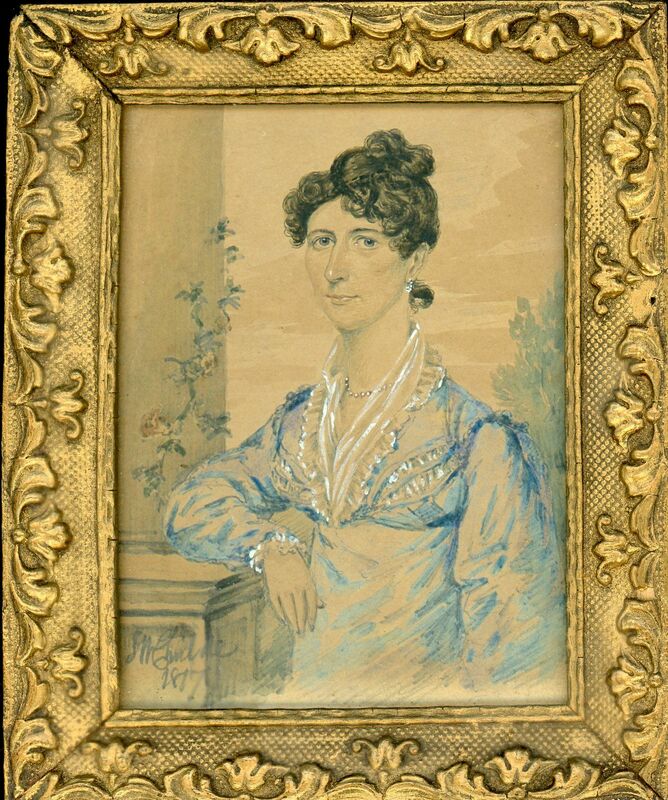 She has hooped pearl earrings and a pearl necklace; her dark hair has been curled and swept up. 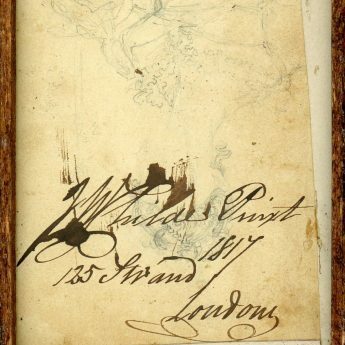 What makes this portrait particularly interesting is that, in addition to being signed – J. W. Childe / 1817 – in the bottom left corner, is that it also has a preparatory pencil sketch of the same lady on the reverse side together with a fuller signature – J.W. 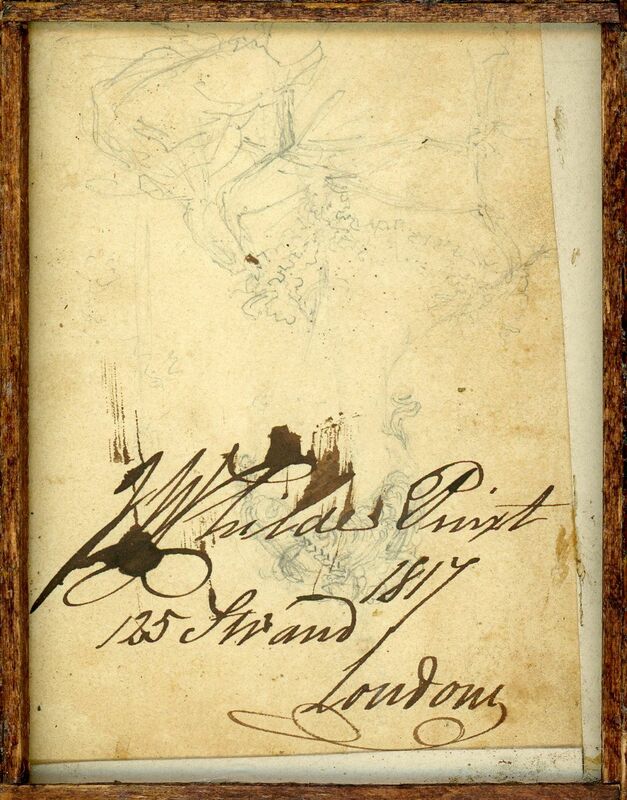 Childe Pinxt / 1817 / 125 Strand / London. 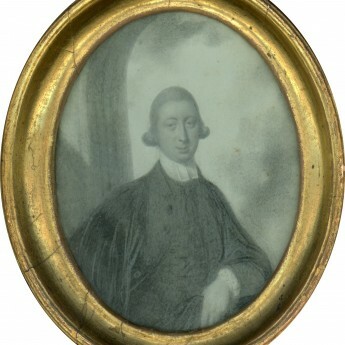 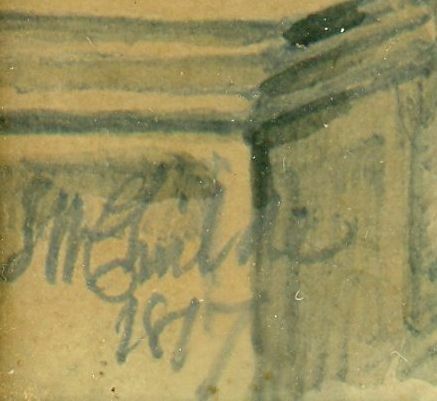 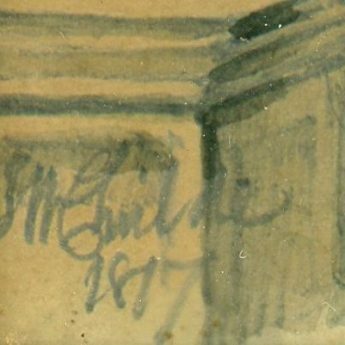 The portrait is painted in watercolour on card and is presented in a decorative giltwood frame that is also glazed on the reverse to reveal the sketch with the inked signature.